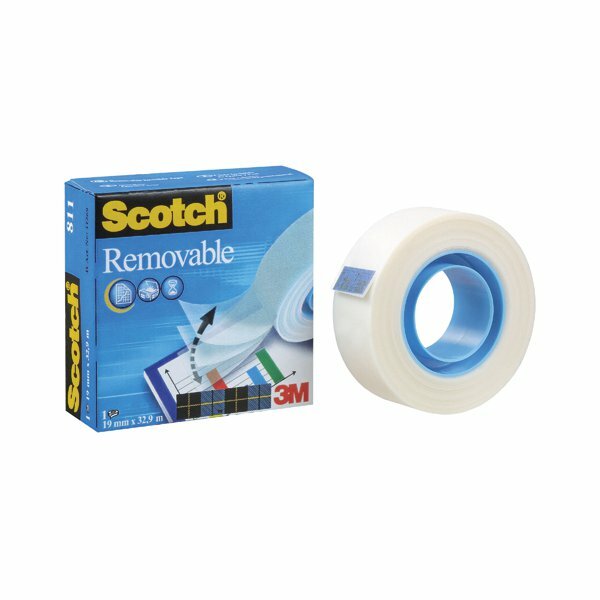 Scotch Removable Magic Tape is a long lasting, solvent-free tape that can be repositioned and removed at any time. It is designed not to yellow or dry out with age. 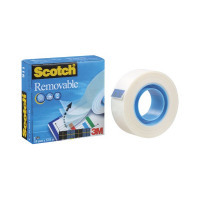 The tape is invisible when applied, making it perfect for repairs to torn paper or wrapping packages attractively. 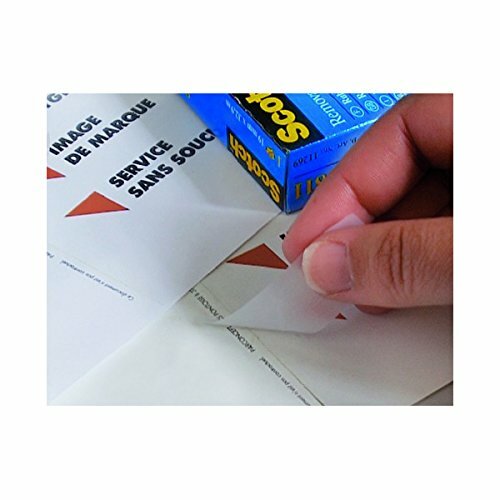 The surface can be written on, which is ideal for adding labels or notices to parcels. 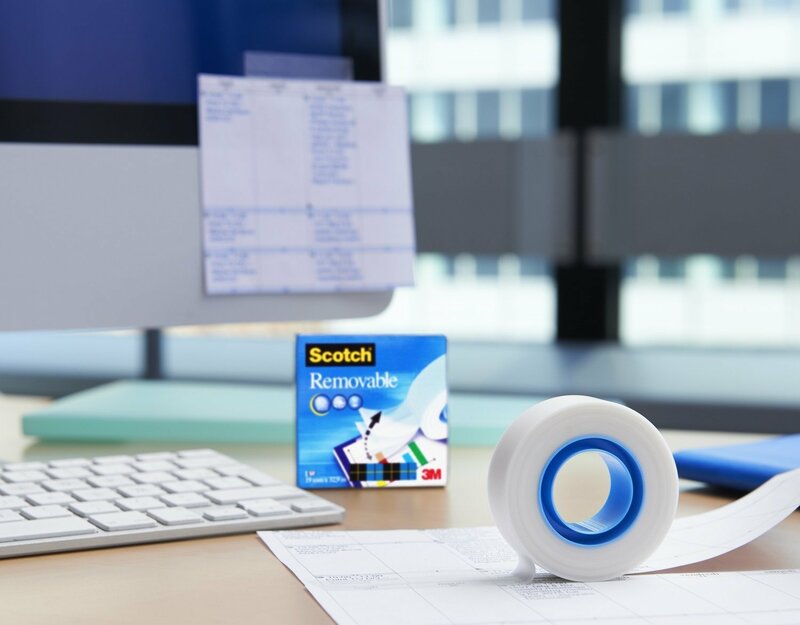 This pack contains one roll of tape measuring 19mm x 33m.